There are three main reasons why Ring and Ping should be your choice for Cat5e Network cabling installation are experience, planning expertise, and individual attention. Ring and Ping has extensive experience installing Cat5e structured network cabling schools, data centers, campus networks, and office buildings. Ring and Ping believes in careful planning each Cat5e structured network cabling system before installation. This helps the Cat5e network cabling installation go smoothly and doesn’t close off options should your company need to upgrade. 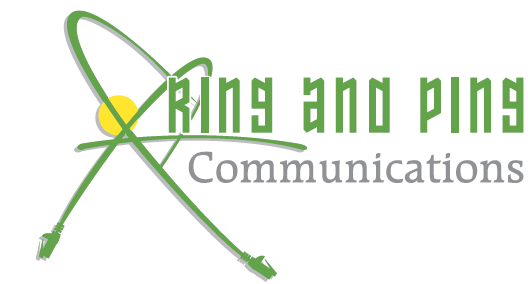 Ring and Ping knows that each organization has unique Cat5e structured cabling needs, and gets to know those needs so that the best possible installation can be designed and executed. Cat5e cabling is a popular choice for many businesses. It’s easy to request a quote for your next Cat5e installation from Ring and Ping. Simply contact us online, call (877) 841-9240 to request a consultation. From bid to completion, Ring and Ping’s focus is the customer, and we aim to exceed customer expectations on every job. Ring and Ping’s cabling experts don’t think of your business as “just another job,” but as an opportunity to excel and help your business work better. We believe in continuing education for our employees, and we stay at the forefront of cabling technology to offer clients the best solutions for their unique requirements. We’re committed to providing outstanding service and provide an unbeatable 10-year warranty on all cabling we install. What Is Cat5e Network Cabling Used For?